Looks like Uncle Rupert’s company will have to do the Banana Split. But at least he won’t have to deal with costumed animals running around all over the place. 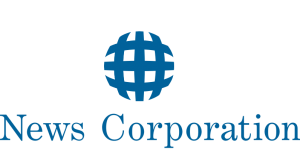 News Corporation announced on Thursday it was splitting up into two publicly traded companies, one which has publishing assets, the other with entertainment properties. News Corporation CEO Rupert Murdoch will be chairman of both companies, while also serving as CEO on the entertainment side. Chase Carey will serve as president and COO. There is no word yet on who will run the publishing side. The publishing side would consist of HarperCollins, The Wall Street Journal, and The Times Of London. The entertainment side would consist of 20th Century Fox Film, Twentieth Television, Fox News Channel, Sky satellite channels, Fox’s cable channels, and 26 Fox-owned stations, including WFLD and WPWR in Chicago. This means in New York, Fox’s WNYW and WWOR would no longer be co-owned with The New York Post, a source of consternation with media critics for years. The split comes at the right time for News Corp.: The U.S. Supreme Court denied an appeal to strike down the cross-ownership rules on Friday, which prohibits a company from owning a newspaper and a radio/TV station in the same market, unless grandfathered in. In Chicago, Tribune owns the Chicago Tribune, WGN-TV, WGN Radio, and CTLV. Significant changes are likely to occur when Tribune is expected to exit bankruptcy next month if a federal bankruptcy judge approves a plan being flanked by creditors. Murdoch has been dogged by a hacking scandal in the past year in the UK. Many of his employees illegally tapped into phones and obstructed British police. The scandal forced the closure of British tabloid News Of The World after 168 years. A British Parliament Committee declared last month that Murdoch was not fit to run an international company. The reasons on why the split is occurring, according to Murdoch, is so “each entity will be managed and more easily managed.” But one could wonder if the aftermath of the phone-hacking scandal – and the desire to protect the company’s TV station licenses in the States has a lot more to do with this split than anything else.